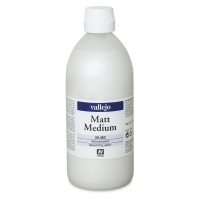 A medium of intermediate viscosity, quick-drying Vallejo Medium is flexible and waterproof when dry. 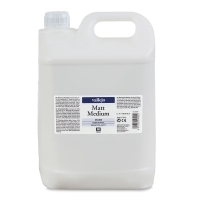 It comes in plastic bottles. The Gloss formula reduces consistency and increases the brilliance and transparency of colors. 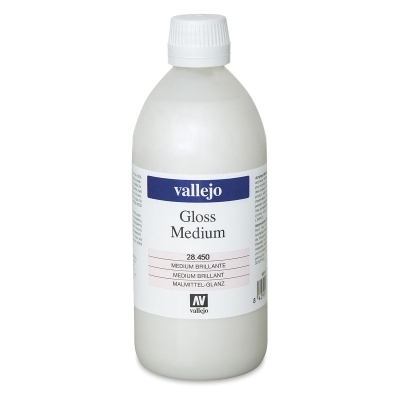 The Matte formula reduces consistency, decreases gloss, and increases transparency. 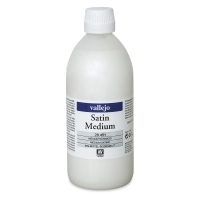 The Satin formula reduces consistency and increases transparency. Note — Freezing temperatures may damage this product. 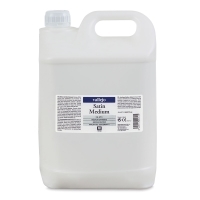 Please keep this in mind when ordering in cold climates and during winter months.